Can you please tell me where can I find good help online? I like your website and what you’re doing here, but what if I need urgent help quickly. and free. I know there are a lot of people out there who say that they will help but most of them are scammers or hackers. 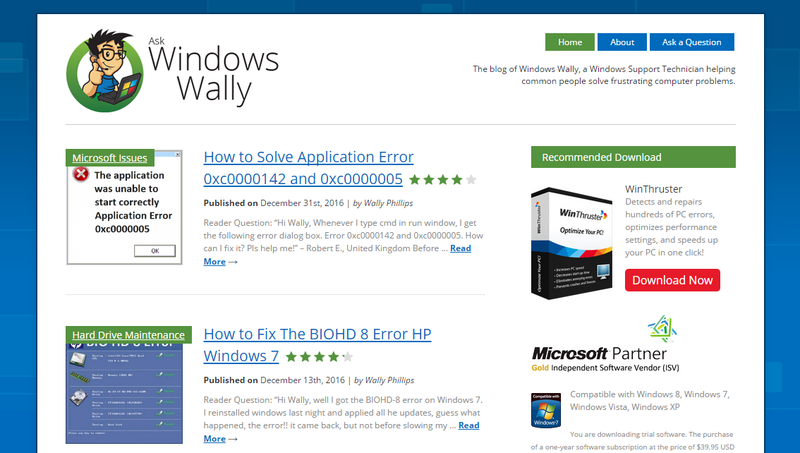 Wally’s Answer: Getting reliable and free computer technical support online is not as difficult as it might seem at first. So, how do you get free tech support from people who will actually help you? Well, stick around till the end of this article and you should know. And, of course it’s absolutely free. A user is looking for free online Tech Support for their specific problems. Here are some ways to get free online tech support that is also safe. Of course you can come to this website and ask your question. I will be happy to answer it for you in the format of an article for free. However, it may take some time for me to write the article so you’ll have to wait. But, if you don’t want to wait then you can visit to WindowsWalley Facebook page and send a private message to me there. I will try to get back to you with an answer to your question as soon as I can. I usually try to check once or twice daily. How To Ask An Effective Question? Be sure to ask questions so that people are able to understand the problem. Because, if they don’t understand what you’re trying to tell them, then they won’t be able to help you solve the problem. Or, it will take them longer to understand and thus help you solve the problem. The Microsoft technet forums contain thousands of questions for thousands of entries. This is a Microsoft website, and Microsoft has moderators who help answer questions for anyone who wants to ask. You can ask any question or search the forum for existing answers. It’s always best to search for related questions before asking a new question. 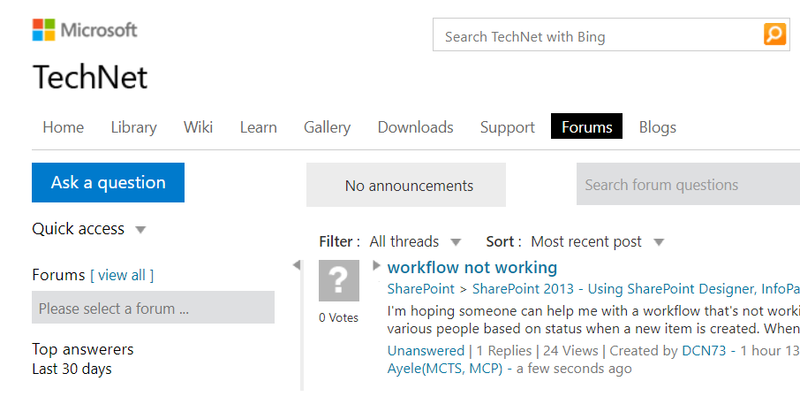 The Microsoft answers forum is a friendly version of the technet forums. You can participate in the Microsoft community by posting questions, following discussions, and sharing your own knowledge. The design of this website is colorful and user friendly. Since this is also a Microsoft website, so you can be sure that people from Microsoft are there to help you fix the problem on these forums for free.